On Saturday my pal Mary & I trekked up Highway 169 to Elk River (about 40 minutes from Minneapolis) to do a little thrifting. 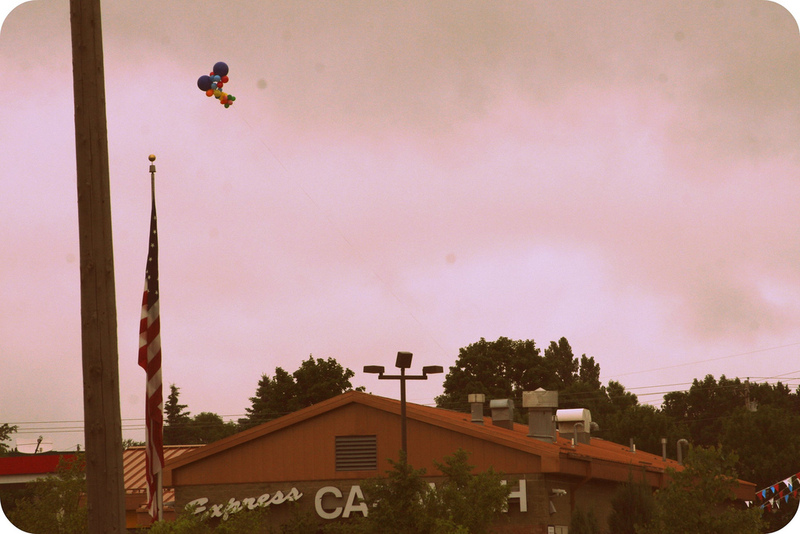 I should’ve known that the floating balloon bouquet was a harbinger of good things to come. and had some crazy luck. To start, the shop is huuuuge. My boyfriend expert source told me that the building used to house a grocery store (Ron’s Foods to be specific). And it is not picked over. Like at all. Lastly, the prices are more reasonable than the Salvation Armies in the cities. 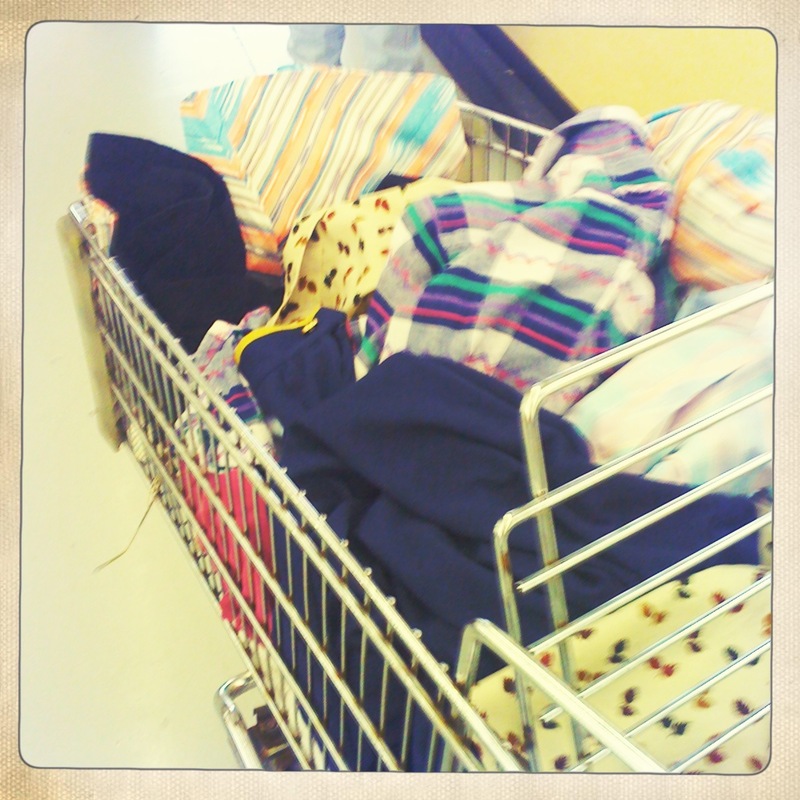 After an hour, my cart was very happy. Hours: Monday through Saturday, 9 a.m. to 9 p.m.
It’s worth every minute of highway time. Or at least it was for Mary & me. 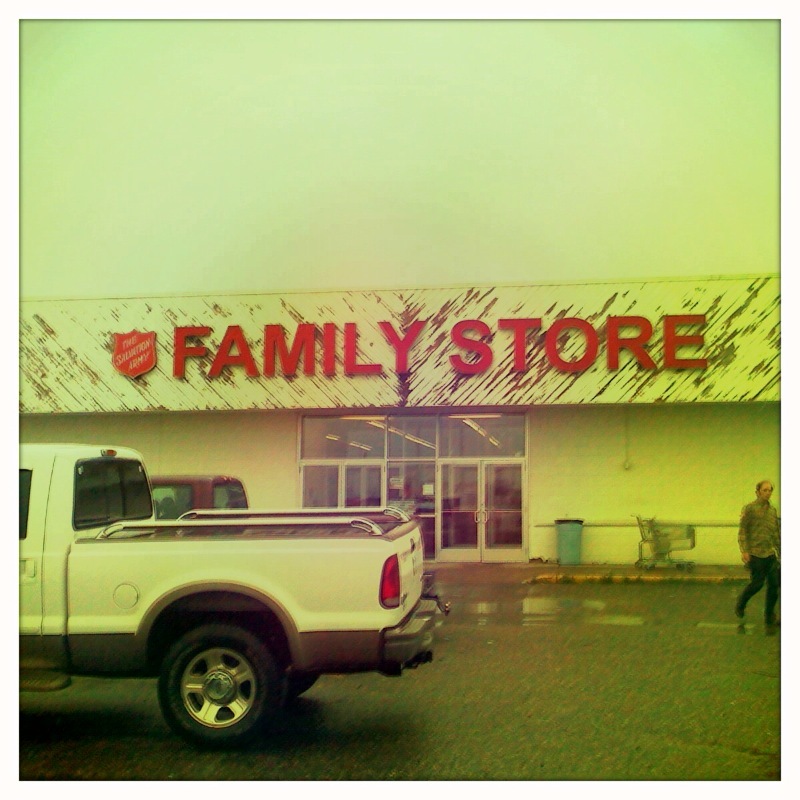 This entry was posted in Store Reviews and tagged Elk River, good times, Salvation Army by highplainsthrifter. Bookmark the permalink. Elk River is so in my old neck of the woods… Antiquing in downtown Anoka would be another good trip!